Many car owners know that it is difficult to maintain vehicles in rainy season. In fact rains have a very bad effect on vehicle body in contrast to intense sunlight. Though many people are aware of the safe rules for car driving in the monsoon weather. This includes driving the vehicle at slow speeds, turning on lights, and driving at a safe distance from the next vehicle on the road. But many people don’t know the essential tips for taking care of automobiles in the monsoon weather. It is important to protect your vehicle in rainy conditions to avoid premature aging and unexpected damages. Here we’ve compiled a list of effective tips for keeping automobiles in a good shape during the monsoon season. When driving a vehicle in wet conditions it is important to maintain clear visibility. So, make sure to keep your automobiles windshields, headlights, tail lights, blinkers and windows clean. It is also essential for the safety of drivers and passengers in the vehicle. It is important to have perfectly running tyres if you want to enjoy safe rides on the road. Make sure that your wheels have good tread. If they have shallow tyre depths, it won’t be safe to drive it in the monsoon weather condition. Also take care to maintain the right tyre pressure. If your wheels have low pressure, it won’t be able to squeeze the water out of your way while driving. The idea of driving a vehicle without a windshield wiper is really terrible during wet conditions. When you notice dry, cracked or brittle rubber blades of the wipers, it will dull the visibility in a heavy rainfall. Particularly if you live in a region which receive frequent rains, it is best to replace the auto wipers once a year. If you live in an area which receives rainfall every now and then, it will decrease the life of your auto battery. Normally, it will decrease it to 1 to 2 years. So make sure to take good care of your battery. If required, replace it with the new one because batteries tend to get damaged under wet conditions. It is always important to have good working brakes in a vehicle. No matter under what weather condition you drive it. But if you have very wet brakes it will create problems in stopping the automobile effectively. It’s because the grit and grease can decrease the brake efficiency when they splash on the automobile’s undercarriage. Thus, take care that your vehicle’s brakes have sufficient fiction material. 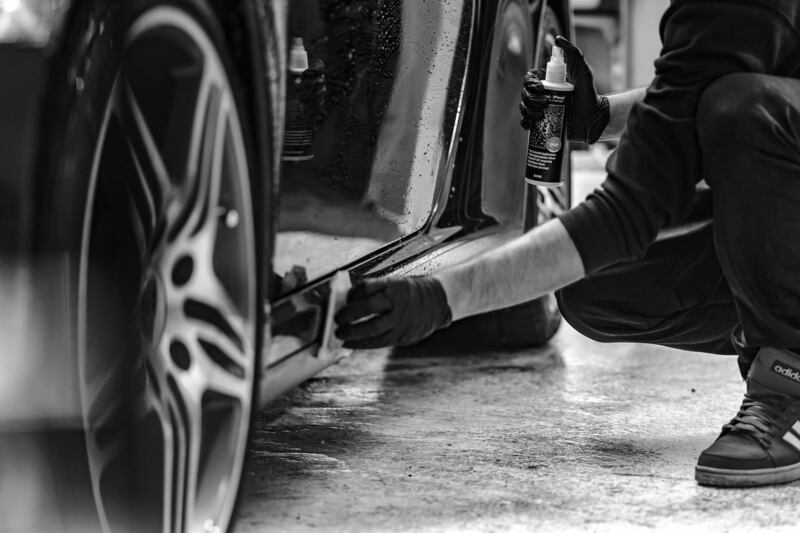 Under wet weather conditions it is very difficult to remove dirt marks and water spots from your automobile. However, a good car wash and wax will help in removing the accumulated dirt easily. It will also improve the driving visibility. You can also use water-repellent products to clean windshield and windows. Normally it is best to stay indoors during monsoon. However, sometimes you may need to leave the house during monsoon weather. In such situations it is best to have an emergency car kit in the automobile. Rubber seals are important to prevent water from getting into your vehicle. So, always check all the rubber seals of your automobile. It is also a great way to prevent corrosion. You should look out for drain holes in your trunk and hood and check that they are not clogged. Every vehicle owner knows that clear visibility is highly important while driving an automobile. Therefore, use your car’s air conditioning to prevent your windows and windshield from misting and condensation. Even if are already following all of the above mentioned tips, make sure to drive slowly during the monsoon season. This way you can avoid aquaplaning. Always remember not to hit your brakes suddenly and also double your driving distance. This will help you prevent the vehicle from skidding. Try driving the automobile in the middle lanes as the water most stagnant on the sides. We would like to say thanks to the team @ UsedCarGuys who provided us these valuable tips to share on our website. I will immediately clutch your rss feed as I can not in finding your e-mail subscription link or e-newsletter service. Do you have any? Kindly permit me realize in order that I could subscribe. Thanks.